These were the words of highly regarded Dolphins fan, insider and contributor Simon Clancy (@SiClancy) on October 9. The Miami players, losers of four of the season’s first five games, headed for the tunnel of Hard Rock Stadium. Among them, embattled quarterback, Ryan Tannehill. The shower of boos was an improvement over the in-game chants for Matt Moore, the Dolphins backup quarterback, but the clarity of the message was never minced – the fifth year quarterback’s approval rating had reached its valley. Despite the paying consumers clamoring for a change at the position, head coach Adam Gase never wavered. Taking the podium and denouncing any possibility that Moore would see the field by way of any occurrence other than an injury, Gase stood by his starting quarterback. They may not have known it at the time, but that was the moment Adam Gase unequivocally earned the admiration of all Dolphins fans. A winning mentality in the fourth quarter, the arsenal of pitches in his tool bag, the ability to go off script, creating first downs with his legs – Gase identified all of these skills in less than one year with Tannehill. Rather than forcing his quarterback to fall on the sword, Gase sent a more drastic message. After surrendering 12 sacks in two games, three mid-round draft picks enduring utter stagnant development were cut. And Ryan Tannehill’s vast potential was tapped. 2016 wasn’t an anomaly for Tannehill. His entire professional career has been mired by ups and downs. Whether it was a play-by-play, game-by-game, or even a year-by-year proposition, he has existed as the most polarizing figure in franchise history. Stretches of games with no turnovers, elite fastballs down the seam, touch passes to the boundary – these flourishes got even the harshest critics to buy in at various points. Consistency was difficult to come by as he would revert back to taking multiple sacks per game and making some head scratching decisions with the football. Any trusted talent evaluator will tell you that, just as important as the prospect’s talent, is the situation he is thrust into. In his rookie season, the familiarity with Mike Sherman was supposed to make for a smooth transition into the league. Instead, he was saddled with an antiquated offense that relied on outdated principals that didn’t adhear to the quarterback’s skill set. But being asked to stay in the pocket at all costs wouldn’t be the worst professional coaching advice Tannehill would receive. When the team moved onto Bill Lazor, Tannehill was stripped of his ability to make adjustments at the line of scrimmage. You read that right. Like a poorly behaved juvenile, Tannehill had zero freedom to make decisions without approval. So when he identified a double A gap blitz with an empty set, he was forced to stand in there and throw to a slow developing route progression with unblocked rushers in his face. When that didn’t work, Joe Philbin publicly claimed that he urged the team to draft Derek Carr in the 2014 draft insisting he couldn’t win with the quarterback that was hand-picked by the Philbin regime in his first year as head coach. And that’s how you tarnish a perfectly built quarterback prospect with the athleticism to play wide receiver whilst he waits his turn to play quarterback. A player with a big arm that is as dangerous on the move as he is from inside the pocket. Forego his skillset and force him to do things that have worked for differnet quarterbacks on different teams in the past – a foolproof plan in the eyes of the ignorant. That ignorance might be why all the former Dolphins coaches responsible for ruining a shining prospect are either out of football or have been demoted way down the football ladder. If you can’t figure out how to make it work with a QB with these kind of physical tools, you should probably just go coach the O-line in Indianapolis. Joe Philbin is an offensive line coach in Indianapolis. Bill Lazor is the quarterbacks coach for the Cincinnati Bengals where he established his prowess by haulting all progress Andy Dalton had built under Hue Jackson. Mike Sherman is coaching high school and his son in-law, whom was brought in through nepotism, is the offensive coordinator for the Cincinnati Bearcats. Zac Taylor was the least qualified person in the quarterback room each year that he coached Tannehill. Ryan Tannehill had a big contract, hadn’t lived up to expectations and owner Stephen Ross needed to make a decision that would either end Ryan Tannehill’s tenure in Miami or extend it for years. So he hired Adam Gase. At Coach Gase’s media availability in Indianapolis for February’s scouting combine, he made a statement that resonated with me as an amateur football evaluator. Early in the season, Jordan Cameron wasn’t impacting games in the way Gase anticipated. Rather than moving on, he plugged in Cameron’s 2013 tape (his lone pro-bowl NFL season) and tried to uncover what exactly it was that made the tight end successful. So it should come as no surprised that he watched every throw Ryan Tannehill made in his NFL career before beginning work with him. What he uncovered was a vast and diverse tool bag with multiple attributes capable of exploiting NFL defenses. Gase afforded Tannehill the opportunity to be in charge of his protection calls. He gave him run pass options at the line of scrimmage. He allowed the quarterback to develop into a leadership position that could be an extension of the head coach. The Arm Talent: Often mistaken for the ability to chuck a football deep down the field, arm talent is something completely different. Is accuracy comprised when he’s on the move? Or when he’s forced to throw from an awkward angle? Can he rip the ball in between two zone defenders? Can he float a touch pass over the underneath linebacker and under the over the top safety? Tannehill has every pitch in his arsenal. Coming out of a five or seven step drop and driving the football to the boundary with the requisite zip to beat the off corner to the receiver. Drives this football into a small window to the pylon for a touchdown. And driving the ball to the far hash quick enough to give Stills a chance to turn up and reach the sticks – all while getting crushed by the pass rush. The touch to float the ball over a tightly contested wheel route. Recognizes the back on a linebacker and just pitches it over the top. Push him off his spot, no problem the accuracy and touch gets better on the move. This one might be the most difficult to describe. It’s a throw that somehow has touch AND zip. To make this throw, the quarterback needs the hand strength to generate torque and spin on the football to get it up the field, but also give it a quick descent into the the window. The GIF will do the describing for me. And in those instances when you need zip and touch, #17 is there. And it’s this skill set that allows Adam Gase to take full advantage of his stout running game by creating misdirection without sacrificing QB competency. Remember when the deep ball was a concern for Tannehill? It never should have been. It’s a highly volatile stat due to sample size. Aside from that, the only receiver that Tannehill ever struggled to connect deep with was Mike Wallace – who is known for having a miniscule catch radius. Charles Clay, Brian Hartline, Devante Parker, Kenny Stills, none of these guys would have any complaints about Tannehill’s deep ball. He throws it with and arching trajectory that allows the receiver to run under it. Takes a shot across his brow while delivering a dime 40 yards down the field. Recognition of the rush: This was an area Tannehill really struggled in early in his career. The strides he made in this department are as much a credit to him as it is a testament to Gase for working with him. He adopted Peyton Manning’s choppy feet in the pocket while staying active and keeping his eyes down the field. He has always been capable of staring down the gun barrel and delivering shots under immense pressure. He did it this past year in San Diego in what was the throw of the NFL season. These kind of throws don’t grow on trees, boys and girls. Then again, when Ryan Tannehill is your quarterback, they kind of do – sometimes twice in one day. The Niners crowded the LOS with 10 guys all game and Tannehill refused to let them get away with it. Recognizes safeties creeping up and lays it out to a spot beautifully. Understanding your matchup and getting the player into a winning route is a big part of the quarterback’s job. Pre-snap motion can reveal the defense’s hand. When he recognizes the Chargers trying to cover Damien Williams with a linebacker (just like the Jets did) he took advantage. Reading plays pre-snap involves anticipation. Most offensive concepts feature a player clearing out an area for another receiver to free up. Here, Tannehill anticipates the space vacated by the X receiver to free up slot receiver Jarvis Landry. He calmly lets the play develop and floats a perfectly located ball that allows Landry to not only make a big first down, but take it to the house. Sense pressure, reset, throw your receiver away from the defense. Late game prowess: Adam Gase intimated how great of a performer Tannehill was late in games. He led go ahead or game tying drives late in the fourth quarter against Seattle, Cleveland (OT), San Diego and Los Angeles. Toughness is nothing new for Tannehill – he takes more hits than any other quarterback just about ever year. Leadership: Against the Cardinals, Tannehill was carving up another defense during his stretch of play with a passer rating well over 100 with seven wins in eight games. When Calais Campbell was pushed into his knee, the energy was sucked out and vacuum sealed out of Hard Rock Stadium. Tannehill returned to the sideline and was greeted by his teammates showing their affinity for their teammate and quarterback. The Dolphins most prominent locker room figures came to Tannehill’s side after the injury. A leader will overcome the loss of 60% of his starting OL and make plays regardless. The run reel/going off script: In the NFL, just about every quarterback can play within the confines of their particular offense. It’s the quarterbacks that can make plays when things break down that are truly special. Tannehill has this attribute in spades and he flashed the ability frequently in 2016. There were times that he broke the pocket a little too early in search of making a play, but it resulted in fewer sacks and more big plays. Pressure eliminates his ability to step into the initial read so he breaks the pocket, extends the play and delivers a strike against his body. The added element to beat teams with his legs is a very real threat. He can beat defensive ends to the edge, get up the field and will lower his shoulder against unsuspecting defensive backs. The threat of this play makes Jay Ajayi even more dangerous. Pundits like to poke fun at the fact that he played receiver in college. That’s okay with me. That type of athleticism leads to plays like these. Absorb the hit, shake it off, turn the corner and run around tacklers. Starting a backup left tackle? No problem, we can still make plays when he gets whooped. Like all good running quarterbacks, he bends the edge and uses speed move the chains. 2016 merely scratched the surface on this player’s ceiling. The knee injury was unfortunate from the sense that the game was slowing down for the veteran at a rampant pace. It allows the dense national media to regurgitate the idea that he has, “never led his team to the post-season,” despite the fact that he was 8-5 and handed the keys to Matt Moore against two bad football teams in the New York Jets and Buffalo Bills. With the knee injury already cleared for all football activities, he can continue to build on the improvements he made in 2016. Movement within the pocket, pre-snap rush recognition, quicker decisions opposed to taking sacks, these were attributes used to knock the quarterback in the past. Although the numbers don’t do his performance in 2016 justice, these areas of growth should make any Dolphins fan excited. Too often a quarterback is judged on some accrued finite number. What is his passer rating or QBR? While stats certainly have a place in any evaluation, it’s extremely lazy to be so obtuse. To truly grade a quarterback, or any player for that matter, you need to identify all surrounding factors. Was everyone where they were supposed to be? How did the protection hold up? For instance, in this big play to Devante Parker, Tannehill had Kenny Stills wide open on the deep cross. He had to come off the read due to the pressure. So while Stills is uncovered, Tannehill has to make haste with the next part of his progression. He gets himself into position to throw and heaves a pass, against his body, into a perfect location for Parker to make the play. Another Houdini act from Tannehill. Most of Tannehill’s games, the number of plays where he makes a poor decision, throws a bad ball or does anything to hamper his team’s success can be counted on one hand – usually one or two. That’s not to say he doesn’t have games where hiccups occur. The game against Baltimore and Cincinnati were not good games by his standards. We’ve been here before with this guy. Just when the fans get excited about his career trajectory, something goes awry. For the first time in his career he has continuity. With Jarvis Landry, Kenny Stills, Devante Parker, Jay Ajayi and two quality offensive tackles returning, he’s familiar with the personnel. The offensive staff has made no changes and can build upon his success from 2016. For the first time in his career he has a sturdy foundation. This is the quarterback Dolphins fans have been waiting for since 1999. Thanks, Rodney! The Tannehill discussion has become a bit of an obsession for me so I made sure to examine each and every throw with a microscope. 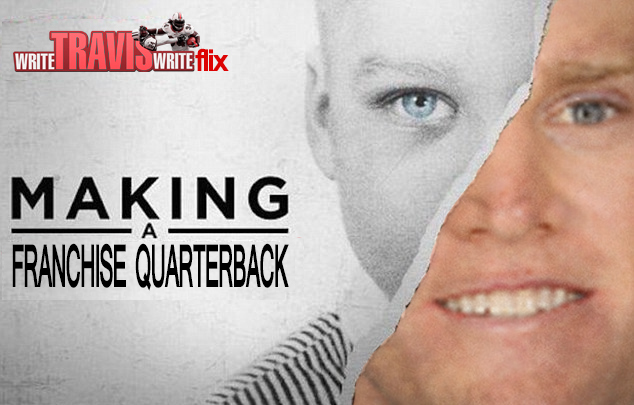 We’ve got something with this quarterback! Next ArticleEpisode 63: What Is Ryan Tannehill?